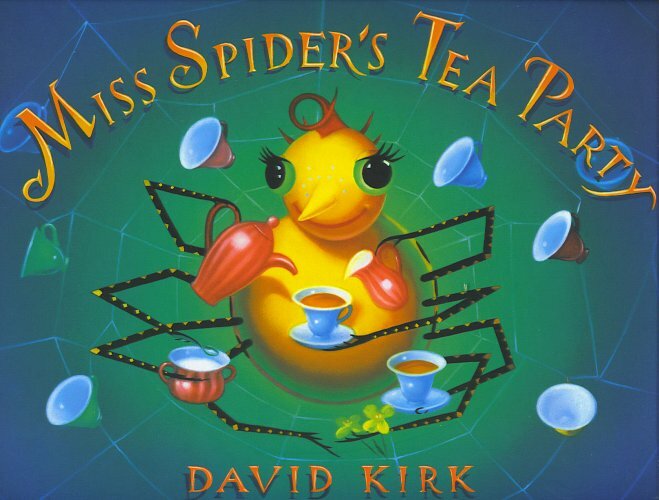 It's a really sweet story about a lonely spider who tries to invite some other insects to tea. Yesterday, she discovered these spiders through the window. "Mom! Come see; these spiders are going to have a tea party." She had no idea they were battling for a coveted web-building spot. I had no idea how it might all end. We watched for a while and then it was time for lunch. During lunch, while the kids ate, I kept my eye on the arachnids. They were definitely attacking each other. After lunch, Geneva checked her tea party friends. "Look Momma! They are hugging. They're married." Me: "Ok Hon. Time to get ready for your nap." After she went to the bathroom she wanted to check on her "married spiders" once more. Me: "Shhh... sleeping. See? The Daddy spider tucked her in for nap time. It's your nap time too. Let's go." That's the best nature show I've seen all week. Nice.